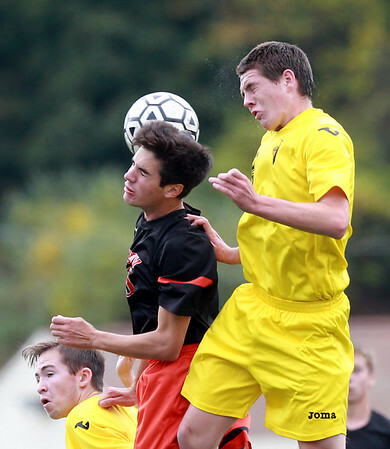 Bishop Fenwick senior captain Matthew Haley, right, and Beverly junior Christian Goodwin, left, battle for a header on Monday afternoon. DAVID LE/Staff photo. 10/13/14.